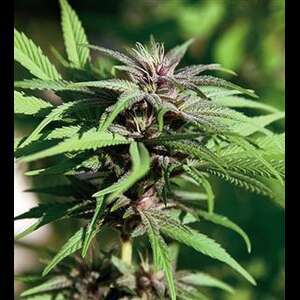 Crimea Blue is a vigorous indica/sativa hybrid strain based on a fast flowering squat Ukrainian hash plant strain crossed with a Blueberry. It is a fast grower that develops quickly and produces above average yields. Crimea Blue has a lemony pine taste and psychoactive long lasting high. It is ideal for SCROG and sea of green set ups.